Pneumovax is a pneumococcal polysaccharide vaccine that provides protection against 23 types of Streptococcus pneumoniae bacteria that can cause pneumonia, blood infections (bacteremia), and meningitis. Pneumovax (PPSV23) is given to high-risk children who are at least two years old, including children with heart problems, lung problems (excluding asthma), sickle cell disease, diabetes, cochlear implants or cerebrospinal fluid leaks. Children undergoing any treatment or who have a disease or condition that impairs their immune system also receive Pneumovax. Most children only get one dose of Pneumovax, but children with sickle cell disease or an impaired immune system may need a second dose five years after the first. Prevnar is another pneumococcal vaccine that younger children get a four-dose series. The latest Prevnar vaccine is a pneumococcal conjugate vaccine that protects against 13 types of pneumococcal bacteria. Although not a risk factor for kids, adults between the ages of 19 and 64 years with asthma should get a single dose of Pneumovax; all adults over age 65 should also get the Pneumovax vaccine, including a second dose five years after their first shot. Since pneumococcal infections can complicate cases of the flu, it can be a good idea for high-risk kids who need a Pneumovax shot to get it at the same time as they get a flu shot. Pneumovax side effects can include injection site reactions, such as redness or pain where the shot is given. Other side effects can include fever, muscle aches, or more severe local reactions, although these occur in less than 1% of people who get the Pneumovax vaccine. The risk of more serious reactions, although possible, is extremely small. Children should not be given Pneumovax if they have had a life-threatening reaction to a previous dose of Pneumovax, if they have had a severe allergic reaction to any component of another vaccine, or if they are moderately or severely ill when they are supposed to get their Pneumovax shot. And like most vaccines in the current childhood immunization schedule, Pneumovax is thimerosal free. 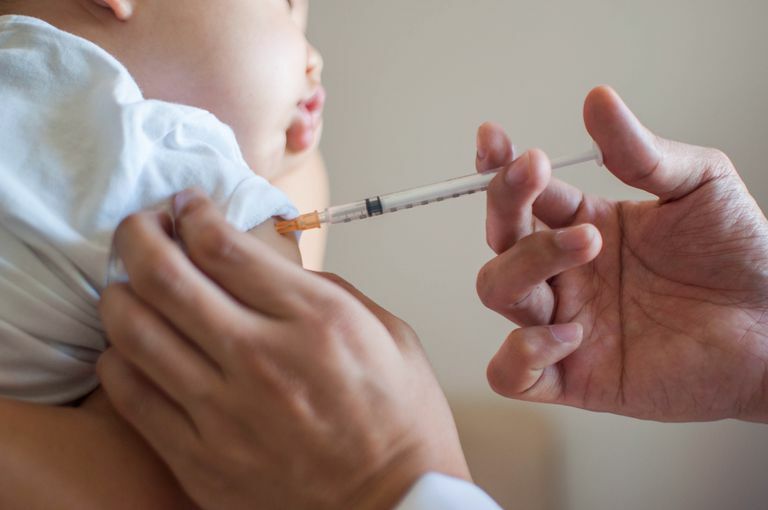 Should Your Child Get the Vaccine? Most healthy children don't need to get Pneumovax. Talk to your pediatrician or pediatric specialist if you think your child is supposed to get the Pneumovax vaccine and it hasn't been offered yet. Kobayashi M, et al. Intervals between PCV13 and PPSV23 vaccines: recommendations of the Advisory Committee on Immunization Practices (ACIP). MMWR. 2015;64(34):944-7.